Web hosting is where your website or web solution lives on the internet. Web hosting hosts all the data related to your website on certain web servers. These web servers are computers connected to the internet and they make sure that any given time a user asks for your website, it’s there fast and in the right format. Powerful and secure web servers are fundamental aspects to a successful online presence for you and your users. Avista has since 2013 provided its clients with first-class web hosting options and quality service. WordPress web hosting is our favorite. Here we have complete control over the web servers and can spoil your website with maintenance, updates, and monitoring. This hosting option secures high-speed connections, extensive security, and functionality. With WordPress hosting from Avista, you can be certain your website is in the right hands, possibly the best. Other options, but certainly not worse. The thing is not all websites or web solutions need the extensive supervision our WordPress hosting offers. With regular updates, constant monitoring, and first class security in the toolbox, Avista offers a variety of different hosting options. It just depends on your needs, we have the solution for you. A domain is the name of your website; mywebsite.com. Securing the right domain for you is the first step in establishing an online presence. We help you find the right domain, you can either go for the regular ones or if you are up for it go for a one that is a little out there. .is, .com, .yourcity, we have variety of options for you. Our center hub for domains is Cloudflare, we are proud partners of this leading force when it comes to domains. A domain is nothing more than the name of your website, we need to point your domain to the web- and email hosting associated with your domain. With leading technology, Cloudflare is able to make your website more stable and secure. 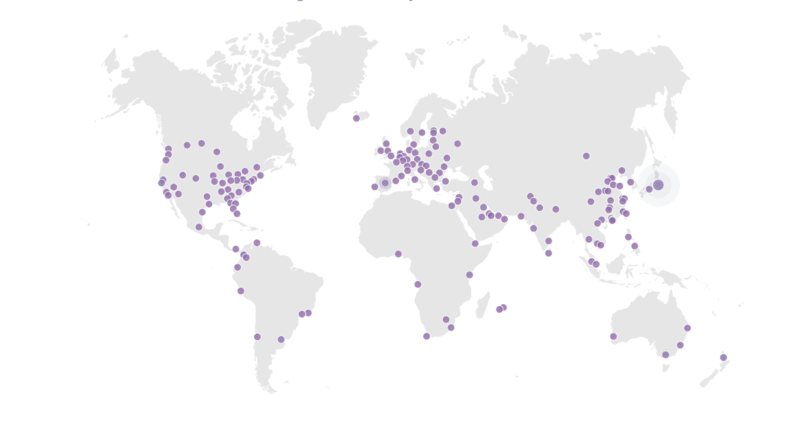 The fastest DNS network, cached files on CDN servers all over the world and free SSL certificate are just a few of the reasons we partnered with Cloudflare. We don’t get any pleasure from being just a name behind an email. We clean our coffee machine weekly and usually have some refreshments in the fridge, so our doors are always open. We have from day one provided hands-on service and we don’t plan on changing that. However, it might be best to start with an email! Send us one and we will prepare the coffee.